We can answer your landscaping questions! Iowans take pride in their property and are concerned about receiving the best value for their dollar. 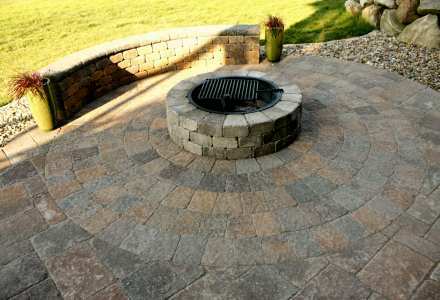 Beemer Landscaping can design and build patios, retaining walls, fire pits, water features and many other landscaping features that will meet both of those goals without sacrificing quality. 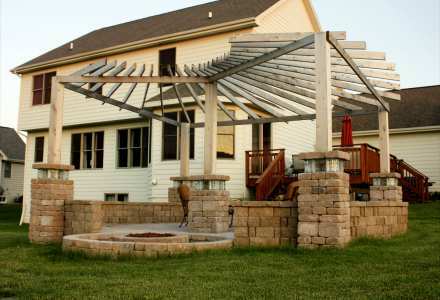 Our company offers superior landscaping service in the central Iowa area and a guarantee of workmanship to ensure your complete satisfaction. We are licensed and insured to provide you with peace of mind about our commitment to providing quality landscaping service. Our service area includes communities like: Altoona, Ankeny, Bondurant, Carlisle, Clive, Des Moines, Grimes, Indianola, Johnston, Mitchellville, Norwalk, Pleasant Hill, Polk City, Runnells, Urbandale, Waukee and West Des Moines. 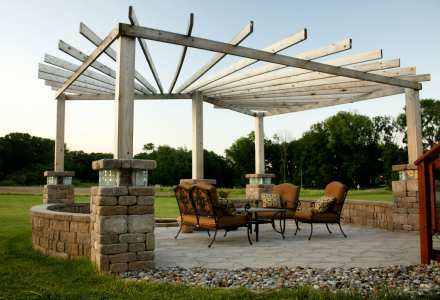 A new patio in your backyard will provide a place for your friends and family to gather for lounging and entertaining. 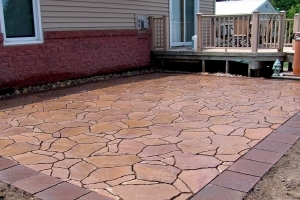 If you want your new patio to blend seamlessly with your home, call someone who has answers. 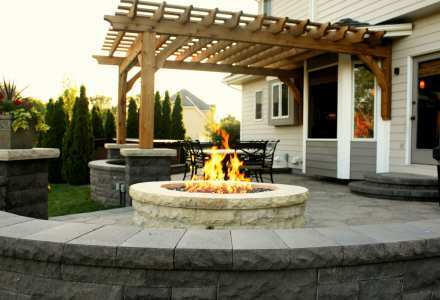 The American Society of Landscape Architects recently revealed that fire pits and outdoor fireplaces are the No. 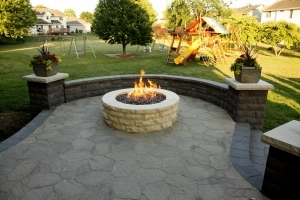 1 requested design feature for backyard landscapes today. Adding one to your yard can be a lot less than you think. 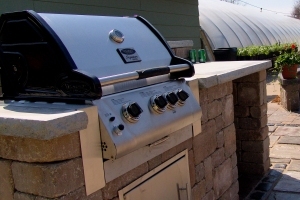 An outdoor kitchen is an outdoor living space, usually on a patio, that you use to prepare and cook food. It can include a grill and counter or something really elaborate like cabinets, refrigerator, sink, and even lighting. We do them all. 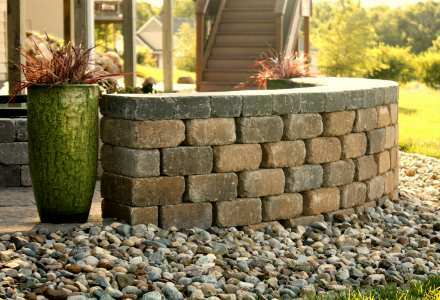 Retaining walls may look like simple structures, but check around your neighborhood and you may find some that are bulging, cracked, or leaning. 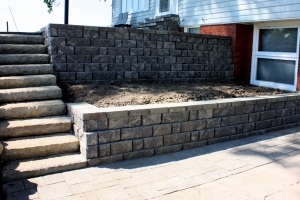 A lot of retaining walls aren't built properly, ours are. 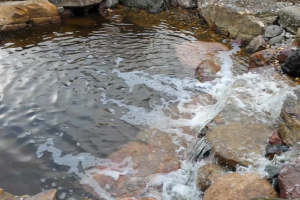 Would you like a soothing, relaxing, and beautiful water feature added to your landscape? 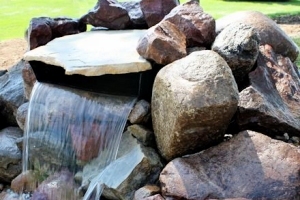 Then, create a new look for your property by adding a professionally designed and installed water feature. 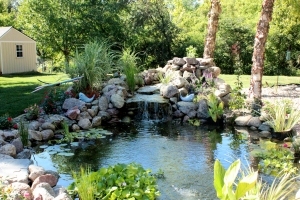 If you are wondering what it takes to put a beautiful fish pond in your yard, go no further. We can help you sort through all the considerations and answer your questions. Forget about regular swimming pools with all that chlorine and other chemicals, try swimming in crystal clear water with beautiful plants all around as you enjoy your natural swimming pool or swim pond. After a rainstorm you may discover muddy areas in your yard or large puddles of standing water. 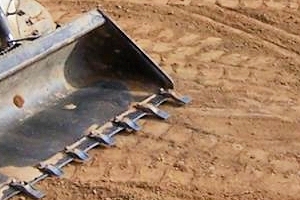 It could be your yard is in need of grading and proper drainage. Before your basement gets wet, you may want to talk to us. We're going to make your yard... beautiful.